The Director General at Supreme Court, Ibrahim Waheed says he wasn’t informed of the interruption to the Government e-Letter Management System (GEMS) and only learned of the interruption when local media broke the story. Ibrahim Waheed made the statement in his testimony as a witness for the defense at the trial against Chief Justice Abdulla Saeed at the Criminal Court this Sunday. Chief Justice Abdulla Saeed is accused of ordering the suspension of GEMS. Delivering his testimony at court, Ibrahim Waheed said that though he is the head of the IT department at Supreme Court, he wasn’t informed or aware of the interruption to GEMS, and only learned about it when news of the interruption was broken by the local media. Answering questions posed by Chief Justice Abdulla Saeed, Ibrahim Waheed said the decision on accepting or rejecting cases into the Supreme Court isn’t decided by the Chief Justice, but by the legal department at the court. Ibrahim Waheed said that as far as he knew, the Chief Justice did not meet with individual staff members to discuss any issue, and only met with heads of departments if any issue arose. 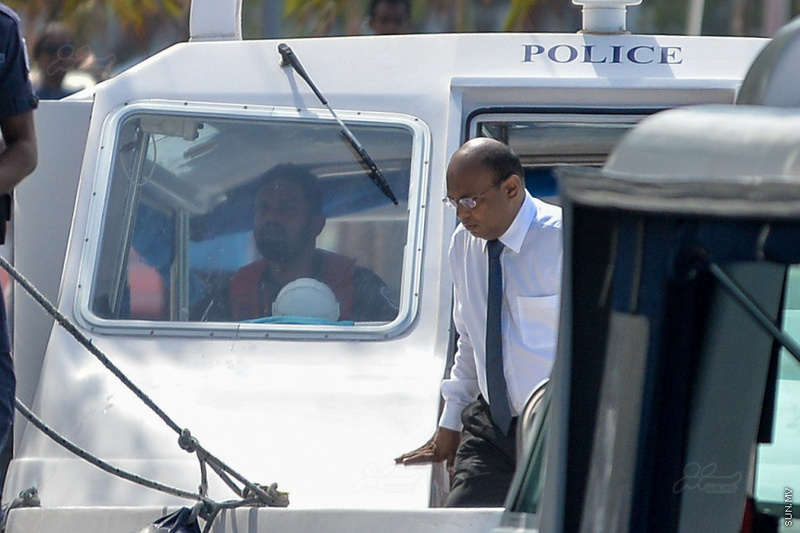 During cross-examination, State prosecutors asked Ibrahim Waheed if he attended work at February 4 and February 5. He answered that he attended work at both the dates. A staff at the Supreme Court who testified as an anonymous State witness in a previous hearing said the Chief Justice personally ordered the suspension of GEMS on February 4 and February 5. All witnesses have now delivered their testimony at court. Both sides are scheduled to deliver their closing arguments at the next hearing, which will be held on Monday.